Things are taking shape for the Museum of Natural Science’s new Nature Research Center in Raleigh. Former governor Jim Hunt dedicated the center’s to museum director Betsy Bennett Tuesday. Amazon research author and rain forest preservation enthusiast Margaret Lowman has been brought on as the NRC director. Now the Museum is entering its final phase of gathering funding. Overall, the Nature Research Center will cost $56 million. The majority—$37.5 million—goes to construction and building costs. The remainder will go to exhibits. Currently, the Museum is 83 percent toward its financial goal, said director of exhibits Roy Campbell. He doesn’t anticipate a problem getting the rest. The NRC will create 45 to 50 new science jobs at the museum, said communications director Jon Pishney. National and international scientists will also be invited to speak. As the project has seen federal, city, and county money, as well as money from close-knit private donors, the remainder will come from the general public. Campbell said an online campaign was launched last Monday. The quicker the mercury rises on the fundraising thermometer, the more likely the NRC will meet its projected spring 2012 opening. Lowman said the lab spaces have been financed in part by state legislators. The state, she said, has shown overwhelming support for the project. Still, a majority of the funds come from private donors, like the Friends of the Museum. Angela Baker-James is the executive director of the Friends, a non-profit that works inside the museum and helps provide for everything from fundraising to special exhibits to the gift shop. Baker-James said the state set aside $10 million for NRC exhibits several years back and the Friends of the Museum plan to contribute even more. Members of the State Employees Credit Union (SECU), which shares the construction site with the Museum, donated $4 million. The biggest obstacle, naturally, is the economic climate. Whitman said she hopes the project can continue seeing legislative support amidst budget cuts. Lowman’s 2000 memoir Life in the Treetops received a cover review on the New York Times Sunday Book Review. She gave a presentation on her work in the jungles as well as her plans for engaging folks back here at Tir Na Nog Irish pub in Raleigh last Tuesday. She says to expect some cool tie-ins to her work as part of the new center, including an authentic canopy-walk at Prairie Ridge on Reedy Creek Road. “No one has censused any of the things that live in the canopies of North Carolina,” Lowman said. She implied the walk might be ready at some point this year. Campbell said there will be four main demo labs inside the center: herb observation, paleontology, DNA and conservation biology, and special equipments like microscopy. Lowman hinted that the first exhibits would center on climate change and weather. The canopy project is separate from the NRC budget. The Nature Research Center has been in the works for almost a decade. The first formal planning meeting, Campbell said, was on September 11, 2001. There was a question of whether to go forward with it that night, but ultimately collaborators decided it was important enough to make the exception. 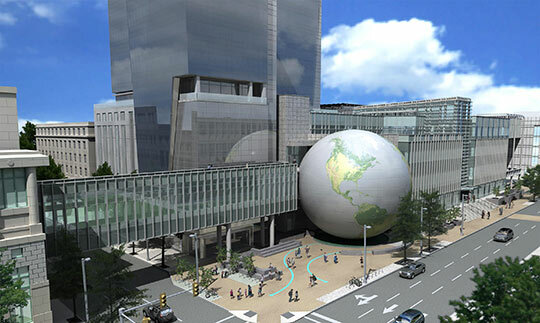 The Museum of Natural Sciences opened to the public in 1879 in an office building on Fayetteville Street. It received its own proper building in April 2000. Head on over to scienceinthetriangle for more fascinating articles. There you’ll get valuable information on where to buy an autoclave, centrifuges, incubators, and all kinds of laboratory equipment.